When we look up to the benefit of the ferris wheel, it is to look up to happiness, happiness is as high as the ferris wheel. The ferris wheel is a symbol of happiness and beauty. 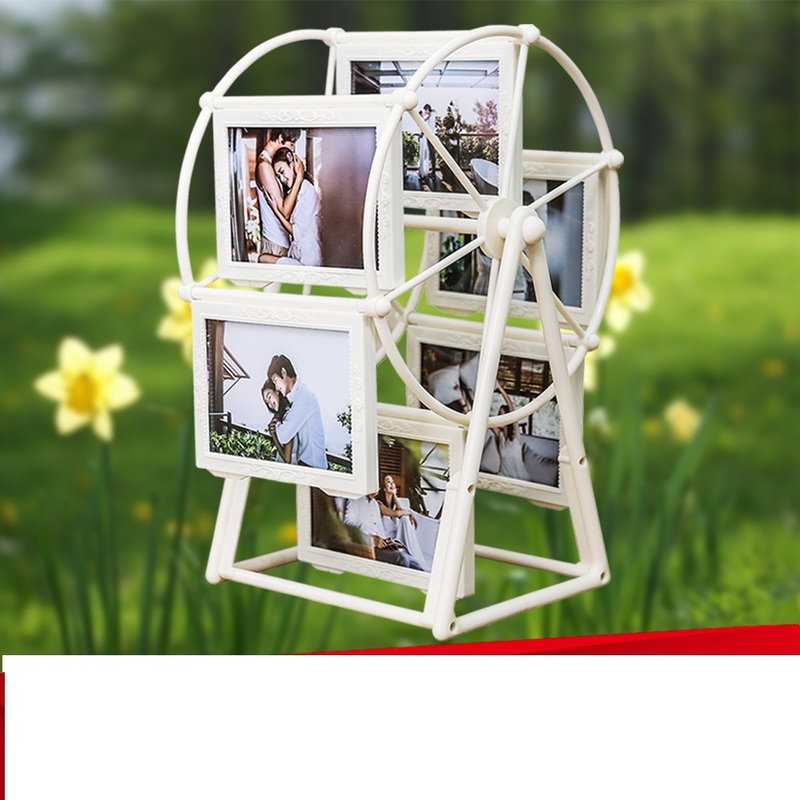 Do you want a picture frame that records your perfect love story? Yes, our picture frame is the shape of the ferris wheel designed according to happiness, which can place 12 photos in the round ferris wheel frame. You can see that the frame is round, and the bottom USES the stability theorem tripod. Hang 12 frames inside the circle. It can rotate 360 degrees. The picture frame is surrounded by European relief, three-dimensional patterns, exquisite and beautiful. The whole picture frame is milky white, showing the atmosphere of this picture frame, noble. This photo frame is perfect for sending family and friends. Send your baby, you can record every exciting picture of your baby. Looking for ideal European Relief Rotation Wooden Frame Manufacturer & supplier ? We have a wide selection at great prices to help you get creative. All the Wooden Happy Frame Hanging are quality guaranteed. We are China Origin Factory of High-Grade Wooden Frame. If you have any question, please feel free to contact us.